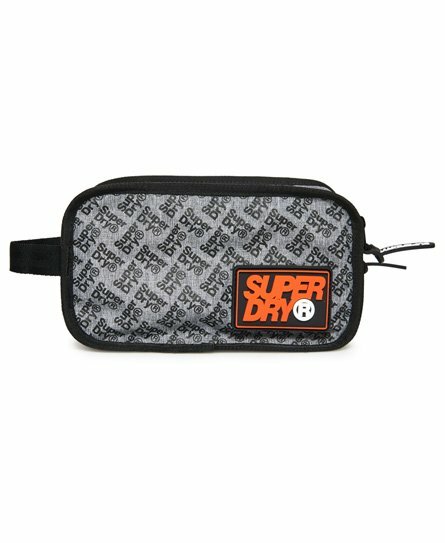 Superdry men's Jackel washbag. Your new travel companion, the Jackel washbag features two zipped main compartments and a smaller zipped pocket on one side. This washbag also features a carry handle on one end and a is completed with a rubber Superdry badge on the front.